From the UL17 rock jewellery collection by Alchemy comes this unique necklace of the classic Love & Hate tattoo design in the form of a double pendant. 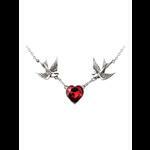 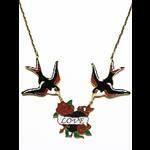 The Love pendant is a red enamelled heart set in a pewter mount with a scroll and the inscription LOVE. 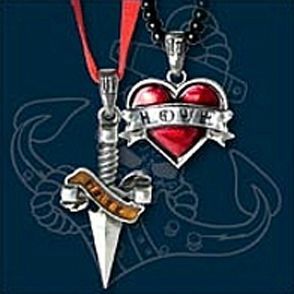 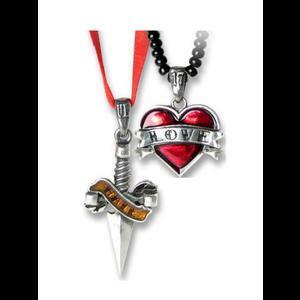 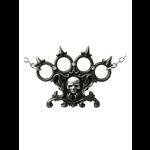 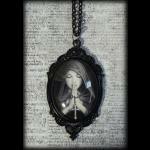 The Hate pendant features a pewter dagger, again with a scroll and inscribed with the word HATE. 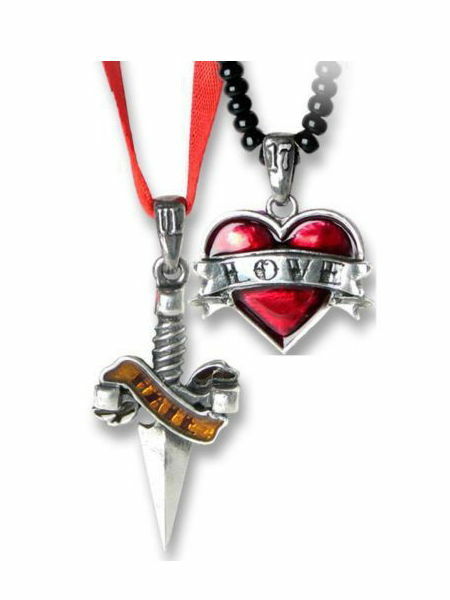 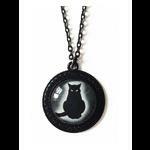 The Love pendant is threaded onto a black bead chain whilst the Hate pendant is threaded onto red satin ribbon. 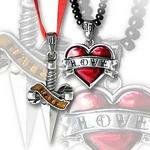 Both the bead chain and the ribbon meet together at the clasp at the back.